Steven is right in the middle of his adventure and his task is simple. He needs to collect as many gems as he can and avoid touching snakes and toxic gems. 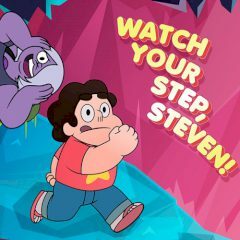 Are you ready to help Steven in collecting gems? There is a pattern with multiple tiles where gems spawn time to time. When the gem is spawned, you need to lead Steven directly on the tile, but mind the danger. Some snakes will try to stop you, so choose the route wisely! Games Similar Watch Your Step, Steven!